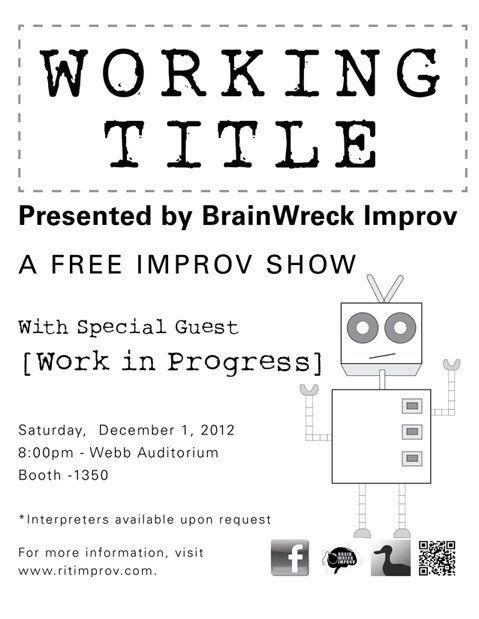 RIT's newest improv performance troupe makes its solo debut! You may remember them from when they rocked the house opening for BrainWreck's most recent show. And even if you don't, they're back for more! Come out and support some of the most talented improvisers this campus has to offer in their very first show! As always, it's totally free! Bring your friends, some hot chocolate, and a fully functioning laugh box! Come witness a night of Two-Prov! 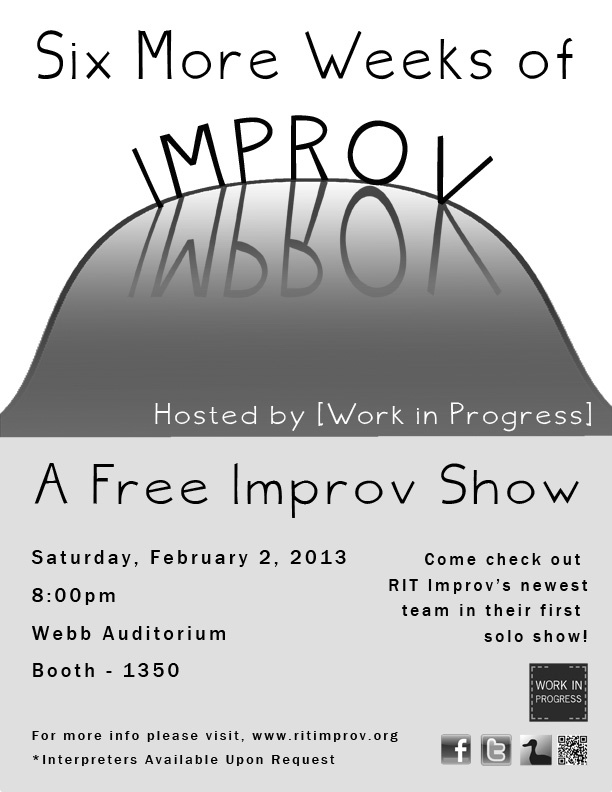 RIT Improv presents a number of teams made up of just two improvisers. Come see some of RITI's finest perform their duo sets, including short form, long form, and musical improv!